1 . 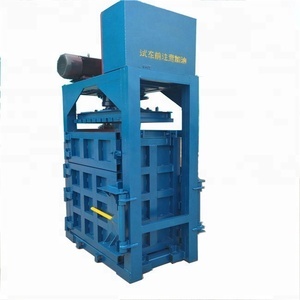 Product Name: Y81/Q-2500 Mobile hydraulic scrap metal baler press baling machinery (Quality Guarantee) 2. 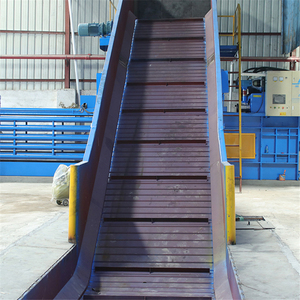 Applications : Y81 series of hydraulic metal balers are applicable in steel plants, recycling companies, ferrous & non-ferrous smelting industry to press metal scraps(steel, copper, aluminum, stainless steel, discarded automobiles)into acceptable fumace charges(shapes: cuboid; cylinder or octagon),so as to reduce cost of transportation, to increase speed of fumace charging . 3. Technical specification : Nominal Force(KW) 2500 Size of charging box(L&times;W&times;H) 2000&times;900&times;700mm Bale size 900&times;350mm Productivity(kg/h) 4000-5500 Power(kw) 44 Weight 15ton Operation Manual value /PLC control 4. Features : 1)Hydraulic drive for all machine types, manual valve control or PLC control. 3)No footing bolts needed in installation; diesel engine can be equipped or power 4)Baling force 10 grades from 63 to 400 tons; productivity from 4 to 40 tons per shift(8 hours) 5. Quality standard: 6. Service: Lifelong maintainance and considerate technical support! 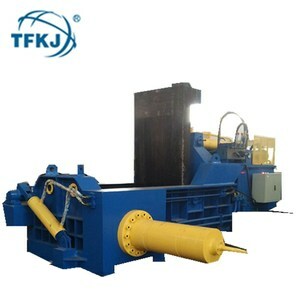 Dongguan Jinnaili Machinery Manufacture Co., Ltd. It compresses the material &rsquo; s volume, and makes them much easier for storage and transportation. For other model machines, we can produce as customer &rsquo; s requirement. Top quality, Competitive price, Timely delivery and Heart-to-heart service. Wenzhou Fant Packaging Engineering Co., Ltd. It achieves from bulk materials to be full automatic operation, saving labors, materials and financial inputs, improving the production efficiency and saving transportation costs with safety storage. : -10&deg;C to + 45&deg;C Electrical: 380V/50Hz, 3phase or per customized specifications Related Machine Open Mouth Bagger(Secondary Packaging) Vertical Form Fill Seal Machine Sachet Bagger &bull; Fant Packaging Engineering Co. And with years of development, our products have been covered various industrial sectors, including foods, pharmaceutical, petrochemical, fertilizer, daily chemicals, minerals, hardware, toys and others. 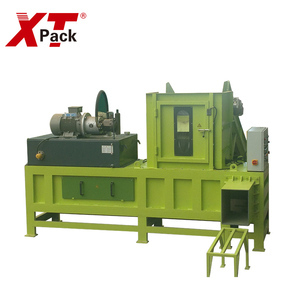 Baling Machine Characteristic and Feature The series products are widely applicable to all types of printing works, plastic plants, waste paper mills, copper materials factories, waste recovering firms and other organizations. They are designed to bale used articles, waste paper, plastic, etc, improving productivity, reducing labor intensity, saving human resources and decreasing expenses of transportation. 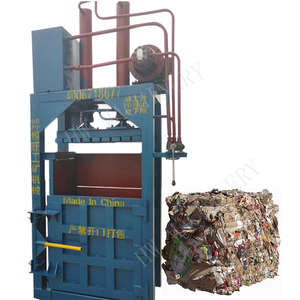 Function 1.The cotton baling machine(baler) can pack the waste textiles,cotton,waste plastic,waste paper into a bale. &clubs; What Is The Need For cardboard baling machines9 Cardboard baling accounts for the largest segment of the entire packaging industry. &clubs; M ain Structure of cardboard baling machines The hydraulic cardboard press baler can be divided into five parts in the following. 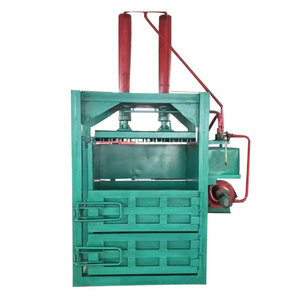 &clubs; Operating Procedure of cardboard baling machines Cardboard baler uses one or more metal plates and a hydraulic arm, pushing the plate down on cardboard with enormous pressure. also there are single cylinder and double cylinder and three cylinders . ) Q 4 : Delivery time A 4 : 3~ 30working days after confirm ing the payment. If the order is urgent, we will push our workshop to finish in advance. Alibaba.com offers 48,831 baling machine products. About 35% of these are other packaging machines, 25% are balers, and 3% are other metal & metallurgy machinery. A wide variety of baling machine options are available to you, such as rectangular baler, square baler, and round baler. You can also choose from free samples, paid samples. There are 48,660 baling machine suppliers, mainly located in Asia. The top supplying countries are China (Mainland), India, and Turkey, which supply 98%, 1%, and 1% of baling machine respectively. Baling machine products are most popular in Southeast Asia, Domestic Market, and Africa. You can ensure product safety by selecting from certified suppliers, including 16,201 with ISO9001, 5,091 with Other, and 1,455 with ISO14001 certification.